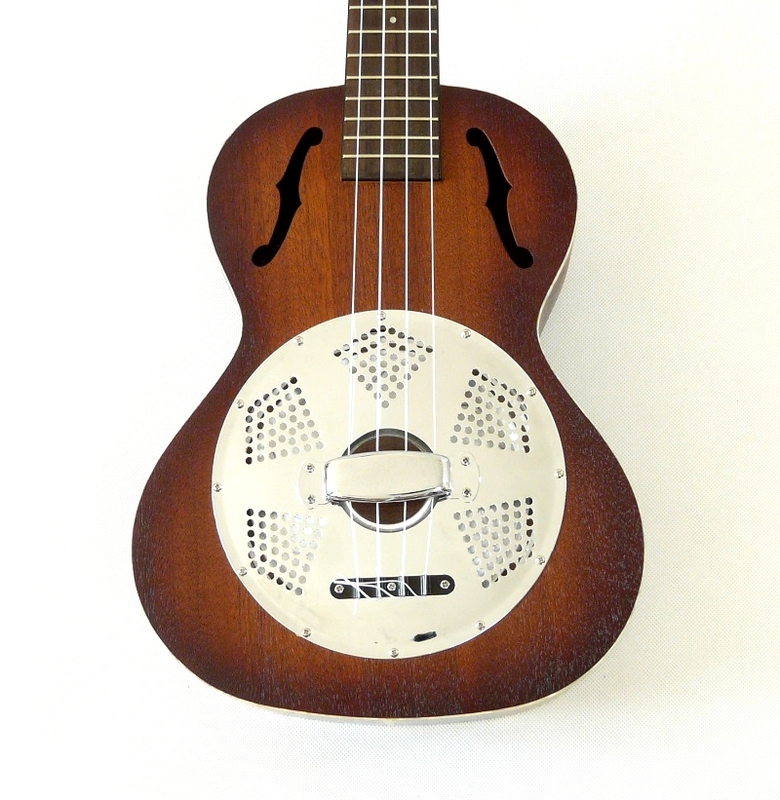 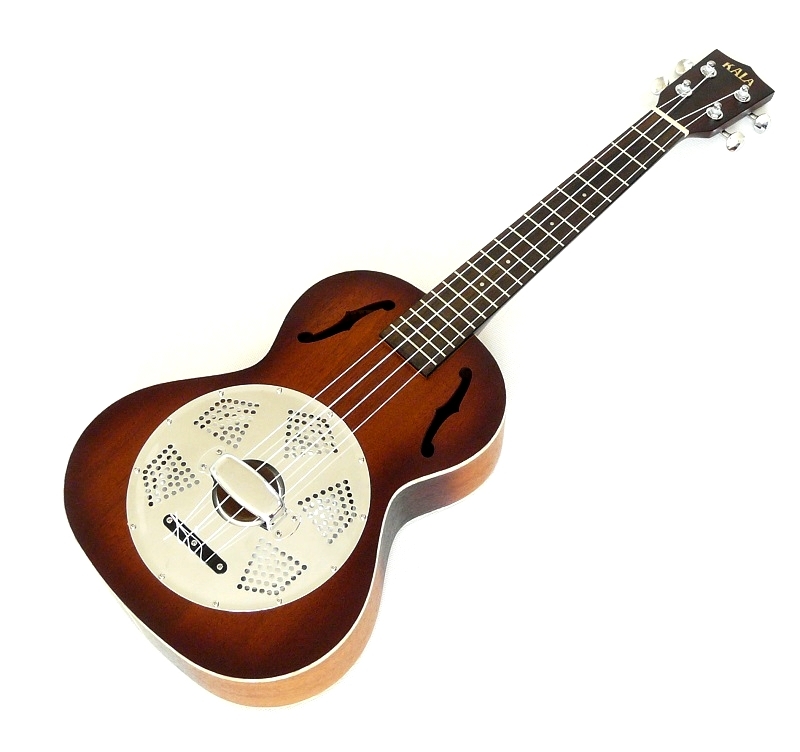 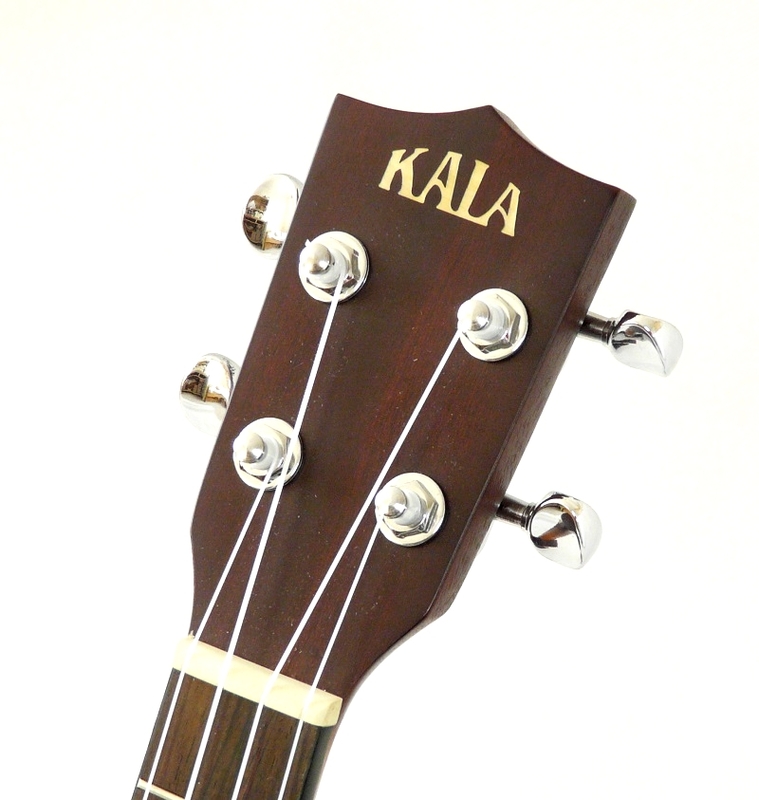 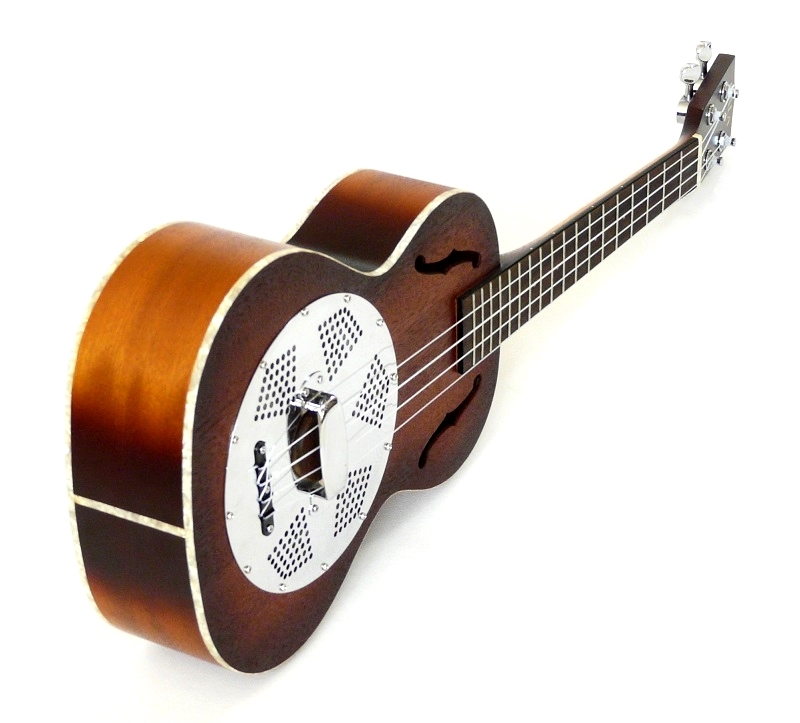 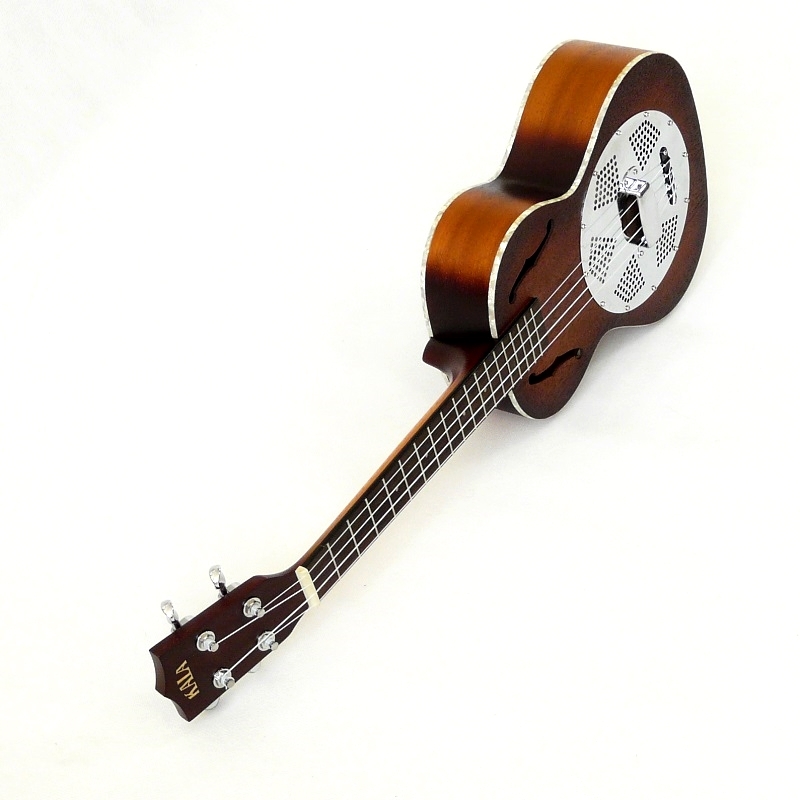 Lovely looking big voice resonator from the Kala brand factory. 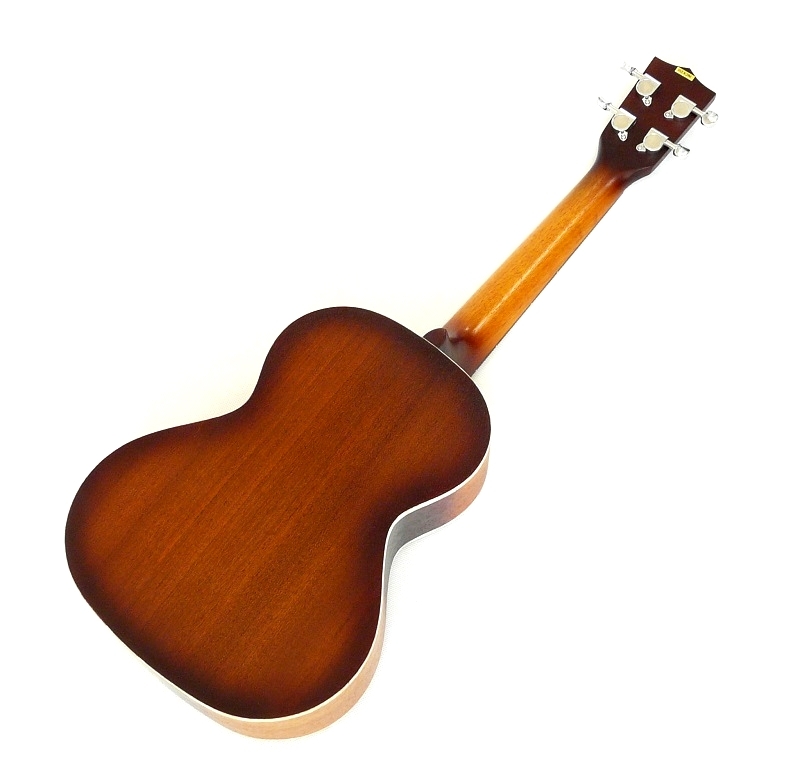 Sunburst satin finished mahogany top back and sides give a unique appearance and the aluminium sound projection cone produces the volume that allows this instrument to hold its own amount bigger instruments. 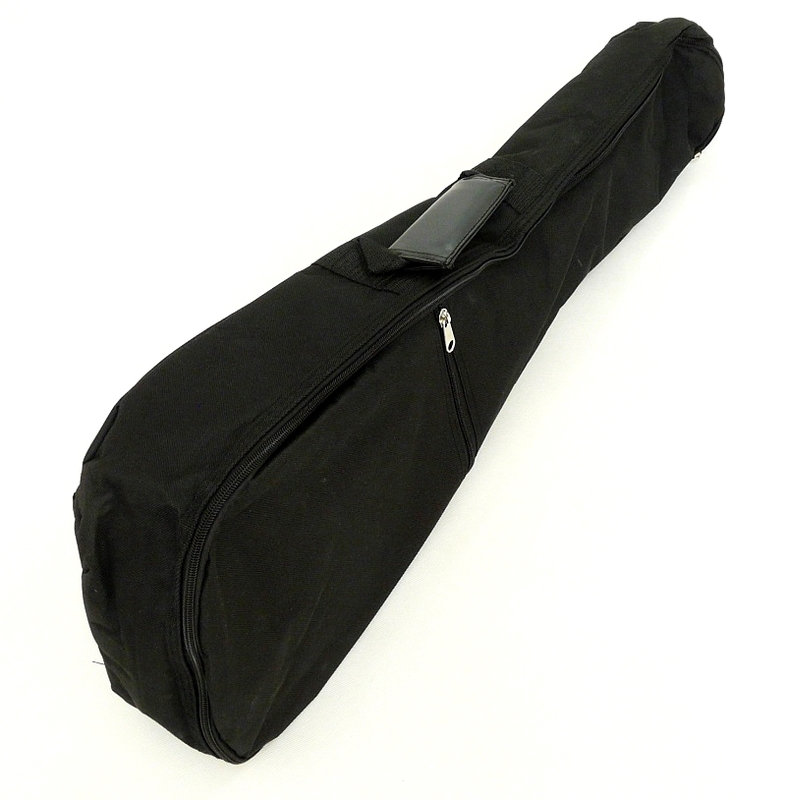 Comes with a black padded gig bag.